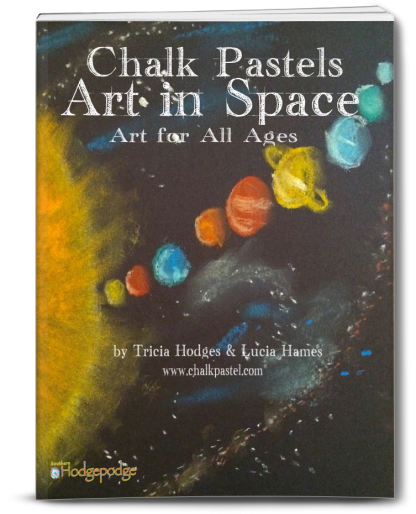 Chalk Pastels Art in Space - You ARE an ARTiST! 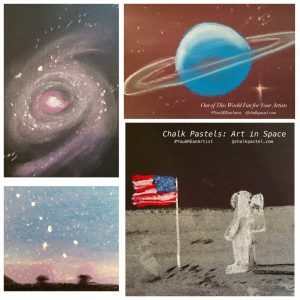 Chalk Pastels Art in Space is for beginning or continuing art lessons in the chalk pastel medium. Spiral Galaxy Video Chalk Pastel Art Tutorial in Less Than Three Minutes! We love this ebook! This is great for kiddos who are into science and astronomy. My ten-year-old can do this series herself with the easy, step-by-step instructions. My seven-year-old can do it with just a little bit of assistance from me; she sometimes gets a bit lost during video tutorials so she really enjoys the projects with written instructions. This would pair perfectly with an astronomy-themed tea time, an astronomy-themed book party (Wrinkle in Time, Hitchhiker’s Guide), a trip to the planetarium, or with everyday science lessons.